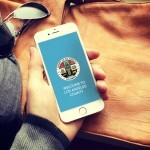 There are many ways for you to explore careers in Los Angeles County as an intern. Whether you’re a student looking to learn, a veteran of the armed forces, or a college graduate ready to explore a career in government, there’s no better way to start. An internship with the County of Los Angeles gives you on-the-job training, real-life work experience, and endless career opportunities. Visit our online Job Application system and check the INTERNSHIP Job Category under Filter. Students currently enrolled in college can complete internships for academic credit at partnering institutions. Students can gain on-the-job training and experience while pursuing a degree or professional certification. On-the-job training and employment opportunities are provided for transition-aged youth who are enrolled in, eligible for, or have completed the County’s Independent Living Program. Provides on-the-job training and work experience for those who have served in the United States armed forces that will help them effectively complete for permanent jobs in the County. Graduates with four-year degrees from accredited institutions receive special training and learn first-hand about County processes while assigned to various divisions. A two-year paid fellowship designed for those with a graduate or professional degree who are interested in pursuing a career in County government. The Countywide Youth Bridges Program (CYBP) provides at-risk and disconnected youth with career exposure opportunities within the County of Los Angeles, and provides them with resources such as supportive services and personal enrichment training that will help prepare them for future success. More importantly, the CYBP will ultimately introduce youth to various career pathways within the public sector. Make Los Angeles County Your Workplace of Choice. Get on-the-job training, real-life work experience, and limitless career opportunities with a Los Angeles County internship.